An urgent examination of how the political and social volatility in Europe impacts the United States and the rest of the world. The dream of a United States of Europe is unraveling in the wake of several crises now afflicting the continent. The single Euro currency threatens to break apart amid bitter arguments between rich northern creditors and poor southern debtors. Russia is back as an aggressive power, annexing Crimea, supporting rebels in eastern Ukraine, and waging media and cyber warfare against the West. Marine Le Pen’s National Front won a record 34 percent of the French presidential vote despite the election of Emmanuel Macron. Europe struggles to cope with nearly two million refugees who fled conflicts in the Middle East and North Africa. Britain has voted to leave the European Union after forty-three years, the first time a member state has opted to quit the world’s leading commercial bloc. At the same time, President Trump has vowed to pursue America First policies that may curtail U.S. security guarantees and provoke trade conflicts with its allies abroad. These developments and a growing backlash against globalization have contributed to a loss of faith in mainstream ruling parties throughout the West. Voters in the United States and Europe are abandoning traditional ways of governing in favor of authoritarian, populist, and nationalist alternatives, raising a profound threat to the future of our democracies. 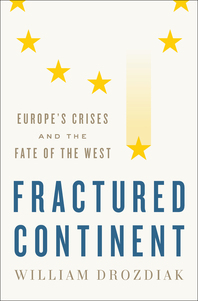 In Fractured Continent, William Drozdiak, the former foreign editor of The Washington Post, persuasively argues that these events have dramatic consequences for Americans as well as Europeans, changing the nature of our relationships with longtime allies and even threatening global security. By speaking with world leaders from Brussels to Berlin, Rome to Riga, Drozdiak describes the crises. the proposed solutions, and considers where Europe and America go from here. 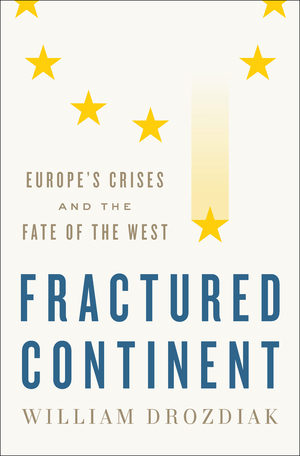 The result is a timely character- and narrative-driven book about this tumultuous phase of contemporary European history.